Want to cuddle with Fei? Hi, I’m Fei! I already love you unconditionally. Sometimes we just need a hug or a shoulder to cry on. It is my honor to hold space – and to hold you. I believe in the power and importance of healthy, human touch. Affection, attention, and connection are magic and so nurturing! 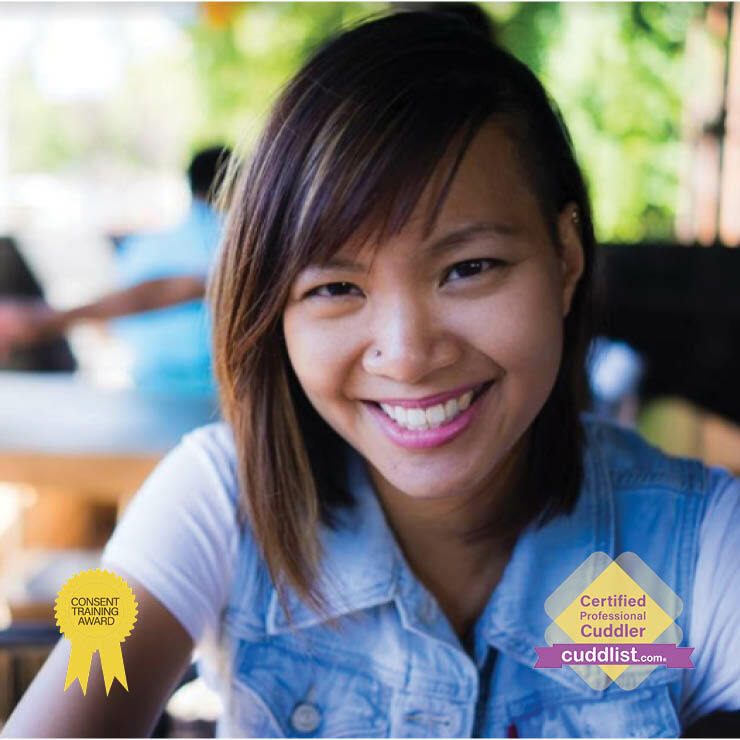 My work as a Cuddlist is centered around emotional healing, wellness, and growth. I have experience working with touch trauma, grief, body-image, relationships and intimacy. My specialty is hair-playing, and sharing authentic conversation. 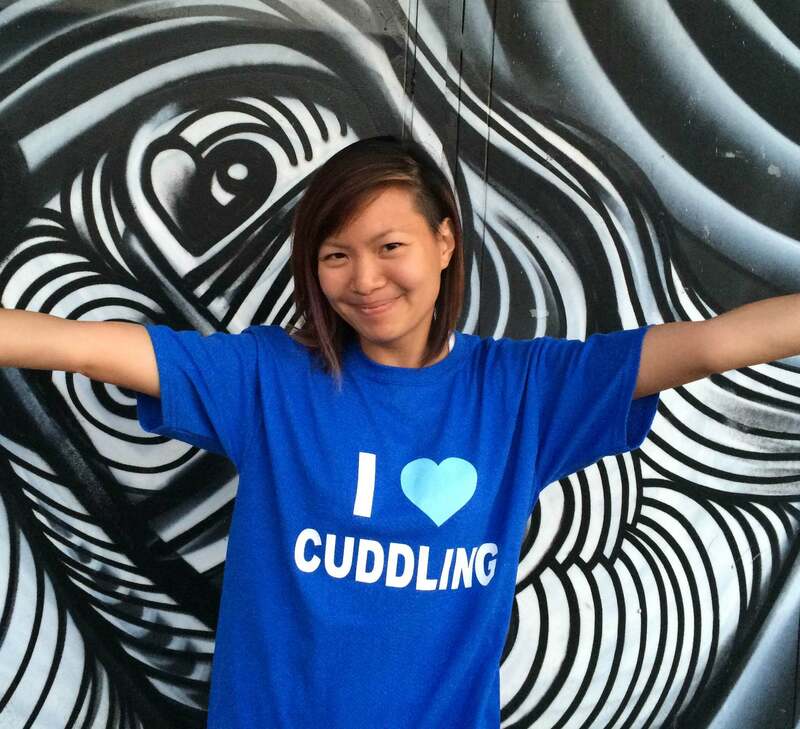 I lead cuddle events regularly, and also train and certify others to do this work. My work has been featured on Buzzfeed with over 7-million views. Find me at CuddleSanctuary.com. My sessions are gentle, connective, and flow seamlessly — we call them “The Affection Spa”! We’ll begin with a short conversation about the session, and then I’ll guide us through some relaxation and breathing. I set up an environment of safety through consent and communication. I can take the lead through the experience, and offer many nurturing positions and activities, or we can co-create! I craft the session around your needs – we can share a conversation, or enjoy the silence; you can have a much-needed cry, or we can be silly and giggly together! No touch is required at all. Either way, you’ll leave feeling seen and connected, and able to let go and be yourself. 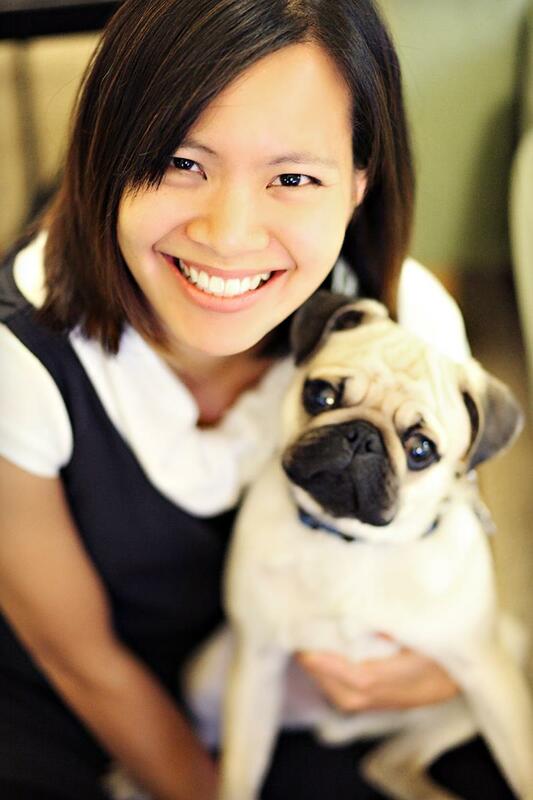 A dog (very cute pug) lives in my home but will be in another room during our session. He is trained as a therapy dog and you’re welcome to request cuddling with him too if you’d like!